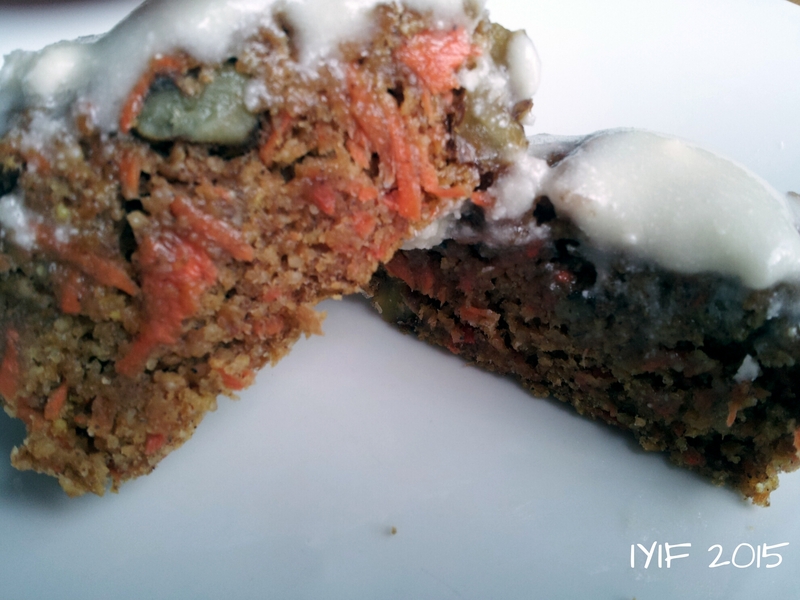 Another Way to Sneak in the Veggies…. Whew, another busy day! It seems as if one day blends into the next and I eat, dream, cook, and write about food. 😉 I guess that is all part of the fun of being a food blogger. I think trying to find the time to photograph all of the recipes I cook is the most challenging, but it can be done! It is always fun to see how you can sneak veggies into different foods, especially if you have picky eaters in the house. 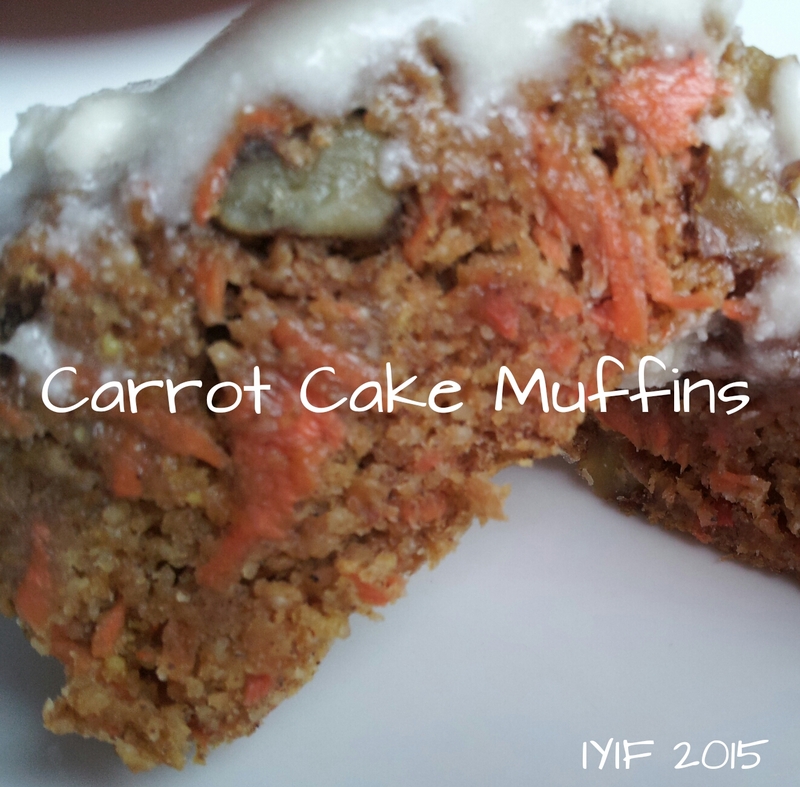 If you didn’t tell anyone that these muffins had carrots in them, they would never know. Unfrosted they come in at a measly 68 calories, but if you want to add a little creamy sweetness to the top your muffin will weigh in around 101 calories. Not to shabby for a snack, or breakfast. 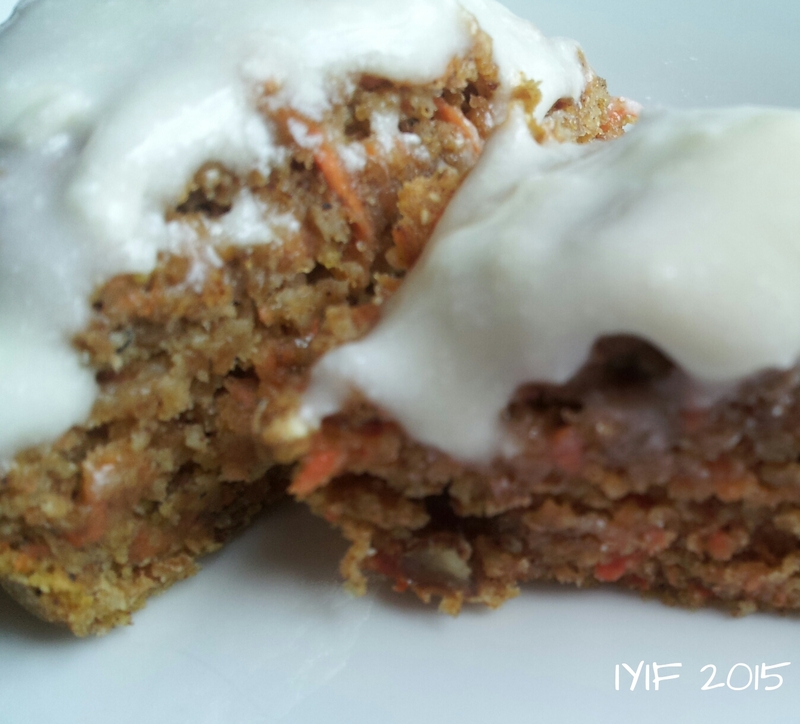 Super simple to make, refined sugar free, low fat, and tasty! I know that a lot of people choose to put raisins in their carrot cake, but I’m just not that fond of cooked raisins in my baked goods. I did add walnuts, but feel free to leave them out, add a different kind of nut, or even add raisins. Most importantly, remember to relax and enjoy! 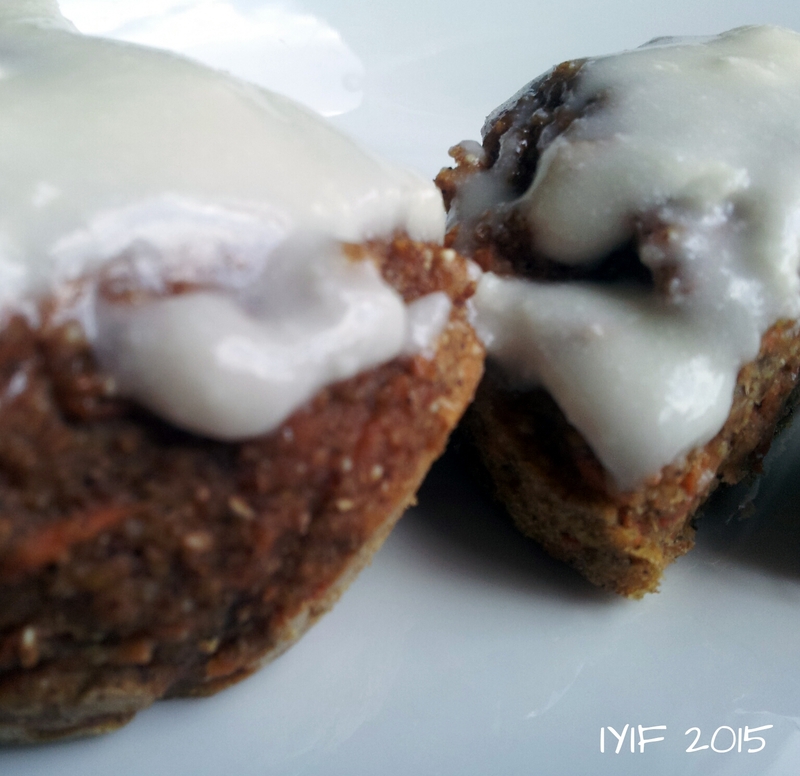 If you want a sweeter version you can frost the muffins after they cool. I used a basic combo of 3 Tablespoons of light butter and 1/2 cup of powdered sugar.